My view as I try to meditate. 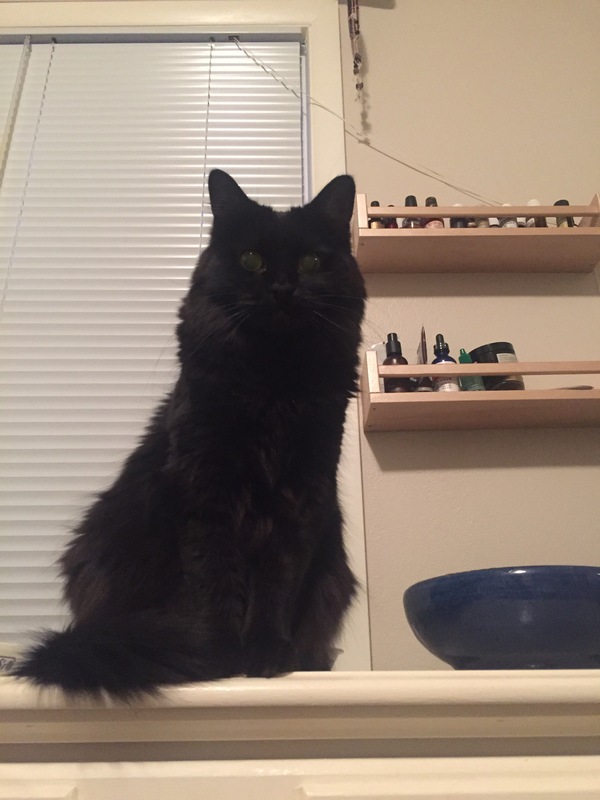 I feel like this is Sophie looming over me, saying, “You haven’t blogged lately…”. I do have a ton of picutres to upload, I just haven’t gotten around to it. February was such a whirlwind and so far March has been, too. Lots going on at work, so I get home and flop on the couch. I think it’s one of those seasons of life. I have energy, but I feel like I have no time. I think I have this low-grade anxiety that came out of nowhere. Maybe because of some family stuff? This all makes me feel really lonely, too. But I know we all have the same 24 hours in a day, it’s how we choose to spend it, so I’m trying to change this. I got up a little earlier than usual today. I’d like to continue getting up earlier. An extra 15 minutes in the morning seems to make the entire day go better for me. I had an awful dream that I lost a loved one last night. It’s hard to be at the age when you have to start having serious talks with aging loved ones. Who is your power of attorney? Do you have a Five Wishes document? Where are your health insurance documents in case I or someone else needs them? What happens when the person is gone and I miss them so very much? To end on a positive note, it’s March! My goals for March are to wake up a little earlier than usual during the week (15 minutes earlier, to be exact) and meditate daily. So far I’ve missed two days, but hey, it’s a work in progress. I’m trying out a few meditation apps to see which one I like best. Let me know if you have a favorite you’d recommend! I used to listen to the podcast 10 minute meditations. It was short enough to fit into each day, but still useful.